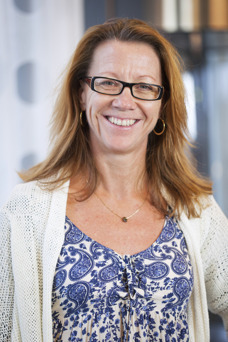 Elisabeth Rydwik is associate professor at Karolinska Institutet, Dept. of Neurobiology, Care Sciences and Society, dDvision of physiotherapy, where she work as a researcher and teacher. She also work as coordinator of Jakobsberg&#8217;s Academic Primary Health Care center and she is a scientific leader at the Research and Development unit for the care of older people in Stockholm County Council. Her research area is physical activity and exercise and the effects of those in vulnerable older people in different settings and contexts; community-dwelling vulnerable older people, rehabilitation in geriatric clinics as well as institutions. Her research has thus also focused on evaluating outcome measures in relation to muscle strength and overall physical function. Her positions within the County Council give excellent possibilities to conduct clinically relevant research projects and increase the possibility of successful implementation.